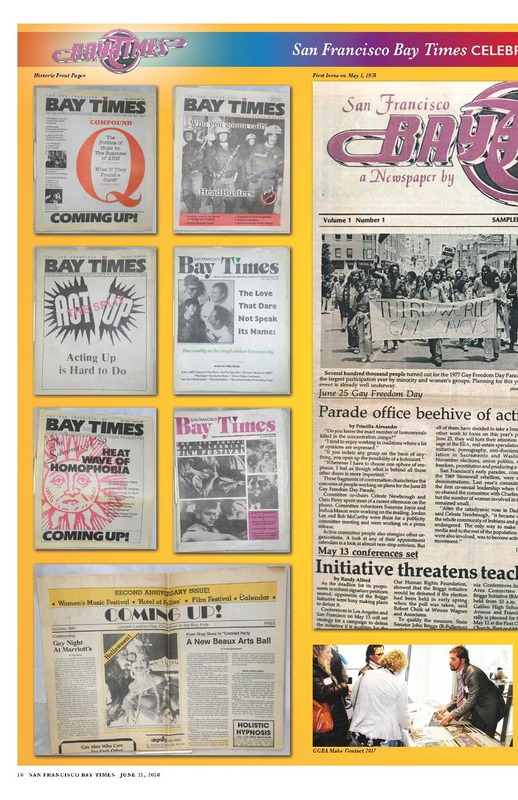 The San Francisco Bay Times, the first LGBTQ newspaper founded jointly and equally by gay men and women, is celebrating its 40th anniversary in conjunction with San Francisco’s Pride Month. 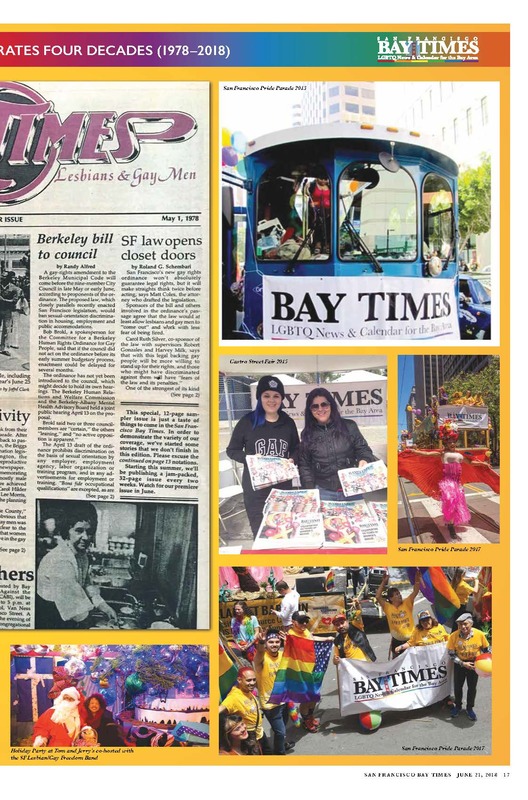 Launched in 1978, the San Francisco Bay Times remains the largest and oldest LGBTQ newspaper in Northern California that is now, and always has been, fully funded and owned by LGBTQ individuals. During its four decades, the San Francisco Bay Times has developed from its original newspaper status to a full multi-platform media company with print, digital, video, social, e-blasts, events and more. Visuals have always been important to the full-color San Francisco Bay Times, which earlier this year marked its 40th anniversary with the launch of the 24/7 live-streaming Castro Street Cam (http://sfbaytimes.com/castro-street-cam/) that allows anyone in the world to watch in real time the Castro’s Rainbow Flags, Rainbow Crosswalks, Harvey Milk Plaza and much more. Since the late 1960s, Rink has photographed LGBTQ events in San Francisco every week. His archive is one of the most extensive of its kind in the world and includes many iconic images chronicling LGBTQ history over the decades. Rink’s photos often accompany stories written by Sister Dana Van Iquity of the Sisters of Perpetual Indulgence. 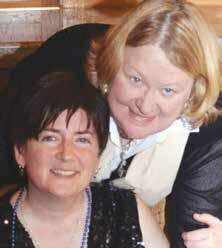 Sister Dana is another longtime, popular San Francisco Bay Times contributor. Both Sullivan and Rink—along with San Francisco Bay Times columnists, contributors and supporters—will be among the key participants of the first of four upcoming events celebrating the 40th anniversary. This first event, the San Francisco Pride Parade on Sunday, June 24, will include the San Francisco Bay Times/”Betty’s List” Pride Parade contingent featuring ABC 7 news anchor Dan Ashley and his band. 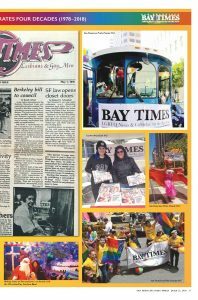 Like the San Francisco Bay Times, Ashley has reported on Bay Area news for decades. The recipient of numerous prestigious industry awards, such as the DuPont Columbia Award and the Edward R. Murrow Award for excellence in journalism, Ashley is also a long-time supporter of the LGBTQ community and a talented musician who for many years has performed at AIDS Walk San Francisco. Ashley has just created a new band, which includes musicians and vocalists known for their work with legendary artists such as Stevie Wonder, Starship, Aretha Franklin, Big Brother & the Holding Company, Melissa Etheridge and many more. Just as you have seen him do on television for 25 years, Ashley also tells stories through his own brand of country, rock and American music (see page 29 for more information). The San Francisco Bay Times/”Betty’s List” Pride Parade contingent will also include several noted members of our community, such as Dixie Horning and Judith Young, administrators of the UCSF National Center of Excellence in Women’s Health; Silicon Valley Pride CEO Thaddeus Campbell; Paul Pendergast, Past President of GGBA; members of the Bank of San Francisco team; lesbian matchmaker Dr. Frankie Bashan; Sister Dana; Trinchero Family Estates award-winning winemaker Joe Shirley; artist, past Harvey Milk Club President and City Commissioner Debra Walker; representatives of the Rainbow Honor Walk organization and numerous others. It truly takes a village to assemble a Pride Parade contingent, so the San Francisco Bay Times wishes to thank supporters Gray Line San Francisco, Napa Cellars, Olivia Travel, Premium Resources, Celebrity Cruises, San Francisco Federal Credit Union, The Grubstake, Extreme Pizza, Budget Signs, The Balloon Lady and Cheat a Little Catering. 2018’s Pride Parade theme is “Generations of Strength,” referring in this case to decades of dedicated work and community empowerment. It will also take on very personal meaning, as many San Francisco Bay Times team members will be joined by their families in the contingent. Sullivan will be no exception. She desired this year to be joined by her family, so accompanying her will be her daughter Liz and granddaughter Callie, together representing three generations. 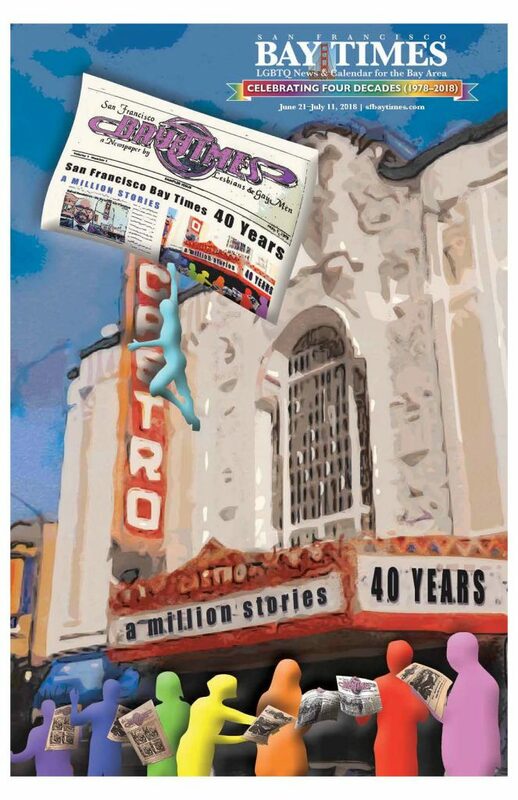 On the evening of Monday, September 24, the 40th anniversary of the San Francisco Bay Times will be honored during an LGBT community event hosted by Celebrity Cruises aboard the Celebrity Solstice during its Port of Call visit in San Francisco. More details about the event, a benefit for the Richmond/Ermet Aid Foundation, will be forthcoming both about the party and the highly decorated ship, which has been named by Conde Nast Traveler as one of the Top 20 Large Cruise Ships in the world. 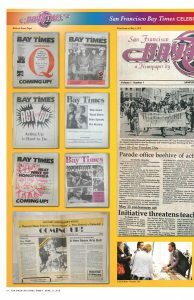 The third event will be a San Francisco Bay Times 40th anniversary panel, to be held on Friday, September 28, at the GLBT History Museum. The paper’s original news editor, Randy Alfred, and other early team members will participate in the panel, which will be led by San Francisco Bay Times columnist and historian Dr. Bill Lipsky. 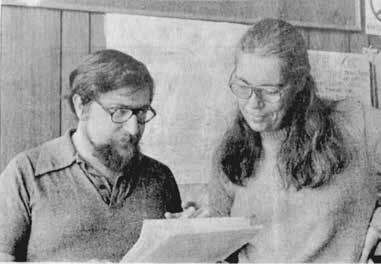 Contributors to the paper over the years have included some of our community’s most influential activists, such as Cleve Jones, author of When We Rise: My Life in the Movement and conceiver of the NAMES Project AIDS Memorial Quilt, and Phyllis Lyon, who with her late partner Del Martin formed the Daughters of Bilitis, the first national lesbian organization in the U.S. Lyon and Martin were the first LGBTQ couple to be married in San Francisco. The namesake Lyon-Martin Health Services provides healthcare for women and transgender people in a safe and compassionate environment. Chanticleer and numerous other LGBTQ-related businesses, groups and non-profits.